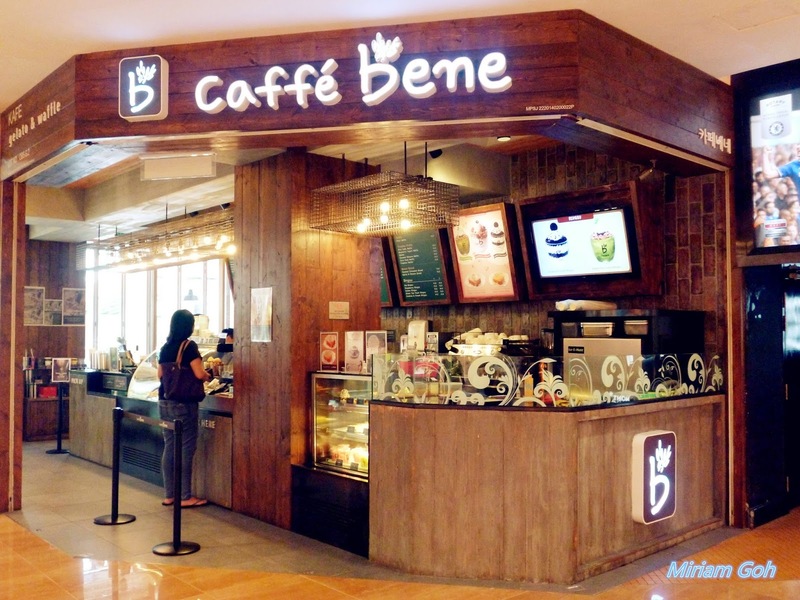 Unfortunately, I was unable to attend the opening ceremony of Caffe Bene where Kwang Soo a.k.a Giraffe from Running Man, a hit Korean variety show came to officiate the launch. 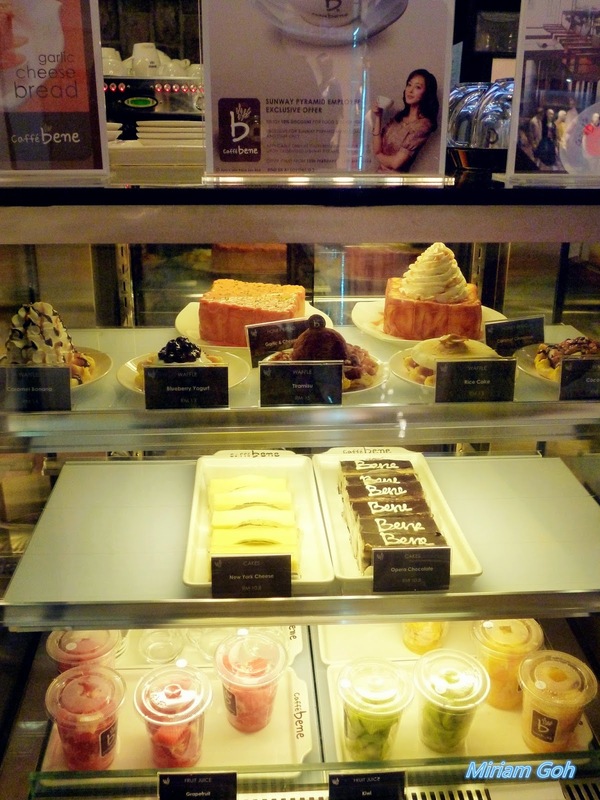 Caffe Benne displays some of their popular menu at the entrance to the cafe. 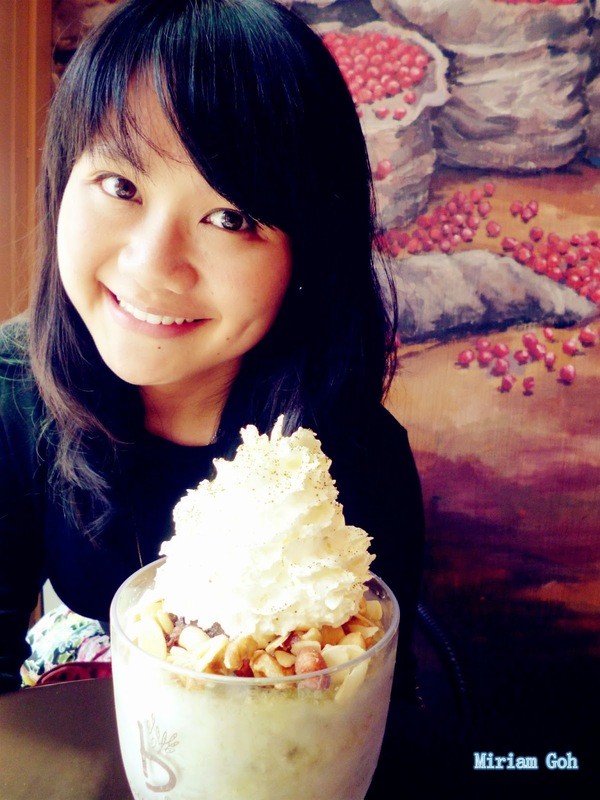 These include waffles, toast and their signature Bingsu. The three flavours of Bingsu that are popular would be the Green Tea Tower Bingsu, Strawberry Bingsu and Cookies & Cream Bingsu. 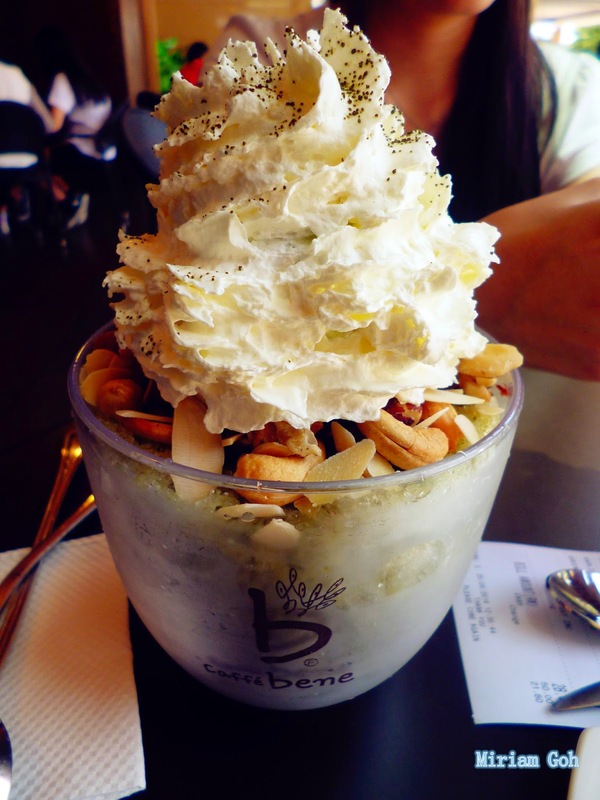 We opt for the Green Tea Tower Bingsu since we are epic green tea lovers! 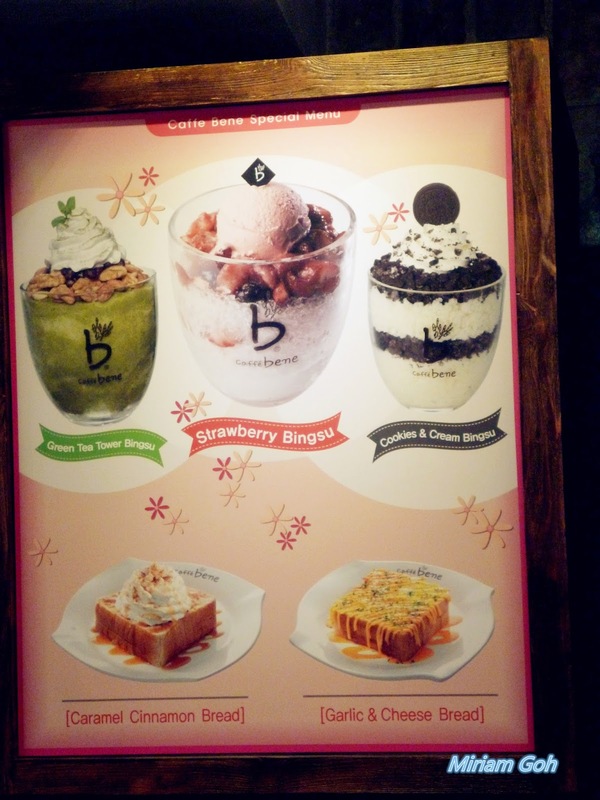 We saw someone ordering the Strawberry Bingsu which was really tempting as well. 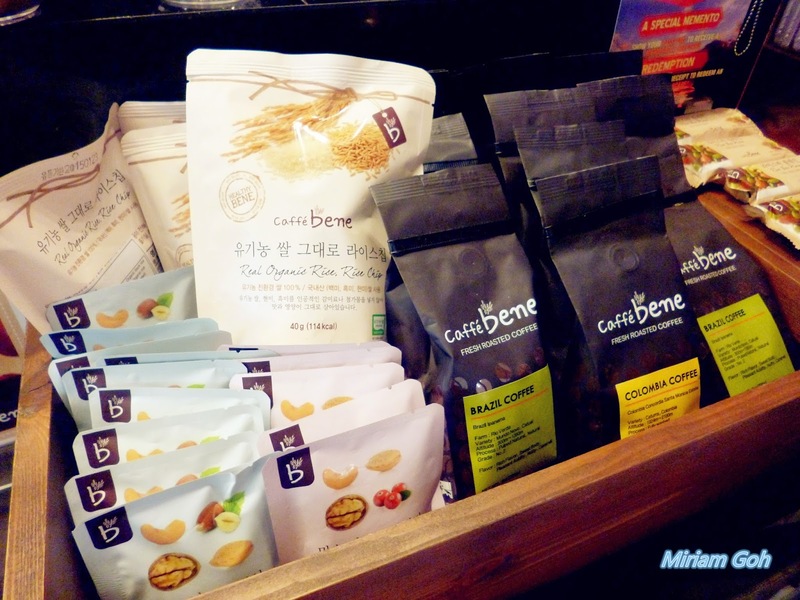 Caffe Bene also sells some of their products at the counter for customers to buy back home. 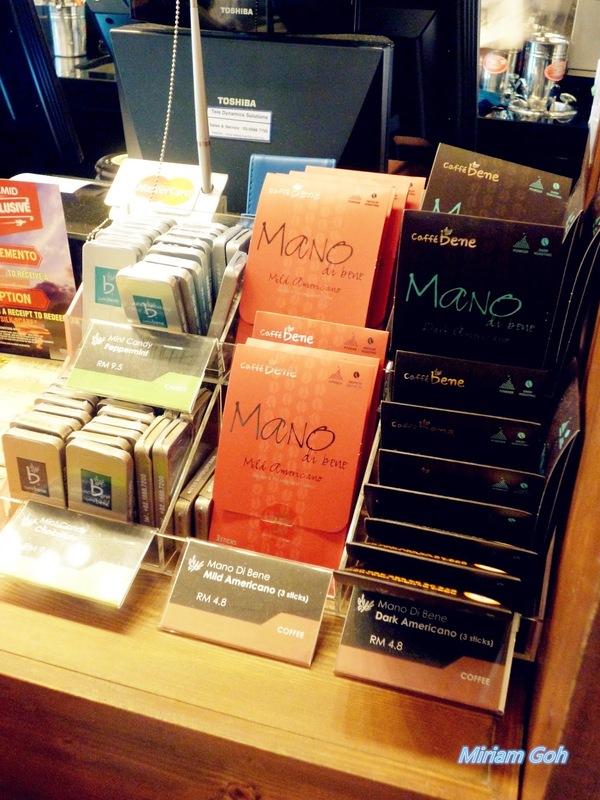 This include their coffee beans, peppermint candy and other snacks. 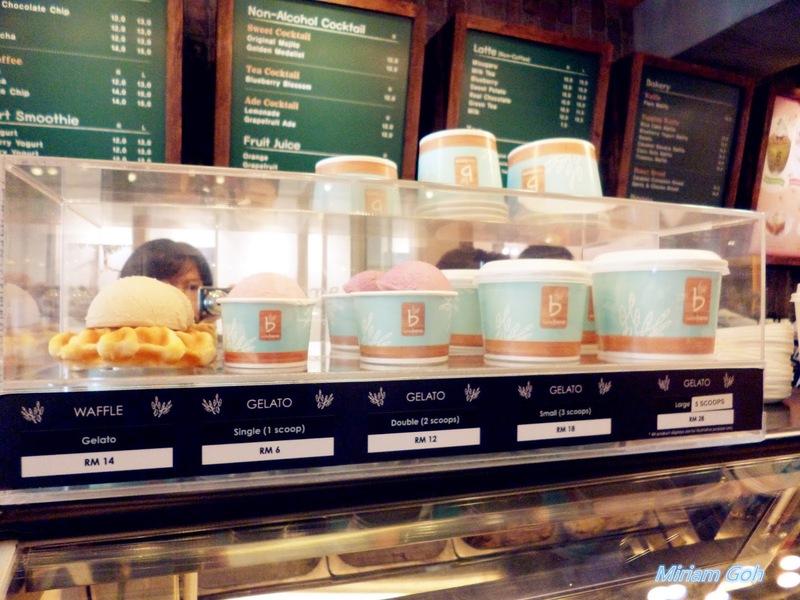 Caffe Bene also serve their in-house gelato selection ranging from green tea, strawberry, coffee, vanilla. grape and others! 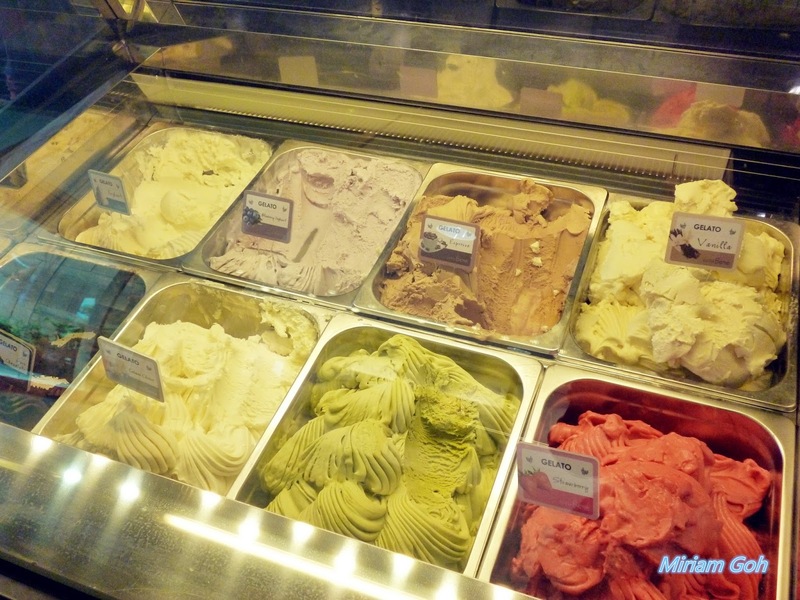 The price for their gelato is quite reasonable as well. Seeing the large sized Bingsu at the counter really tempted us to order the large sized dessert but since it was just me and the sister, we decided to go for the regular one at RM 10.80! A very reasonable price if you see the portion they serve. 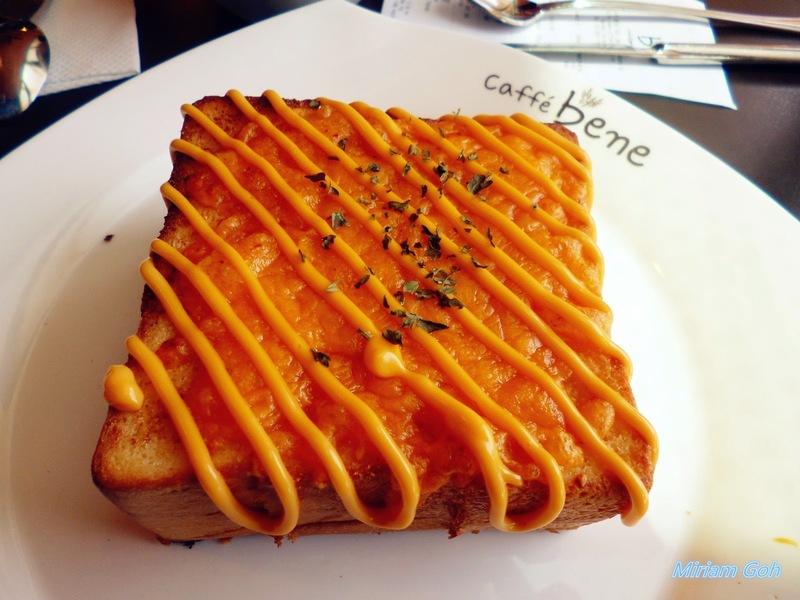 We also decided to try their Garlic Cheese Toast to have something savory to compliment the sweet dessert. It actually cost a bomb for us as one piece of toast was RM16. Oh well when in Rome you just got to do what the Romans do. The list of food that they serve are listed on the menu hanging behind the counter. You can decide what you want to order while waiting in line. 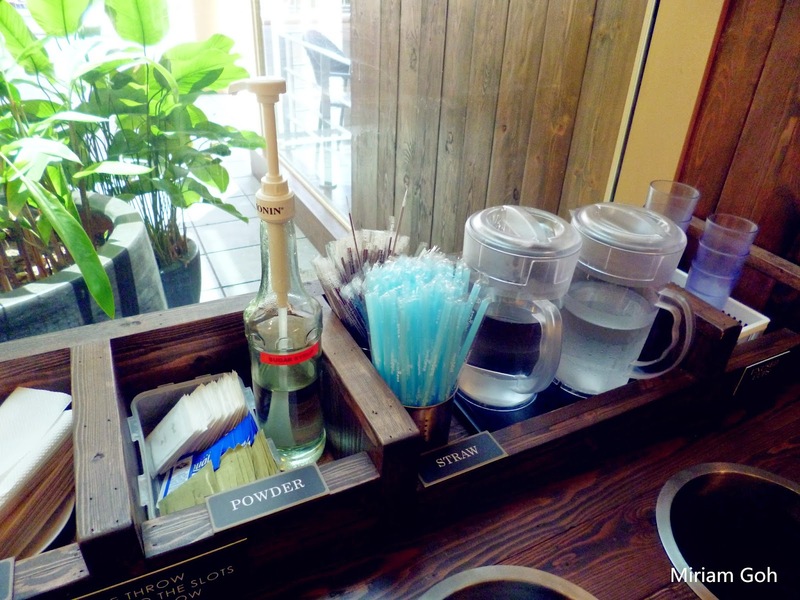 Like any other cafe, they also prepared stuff like water to clear your mouth, sugar syrup and others for you to determine how you would like your coffee. 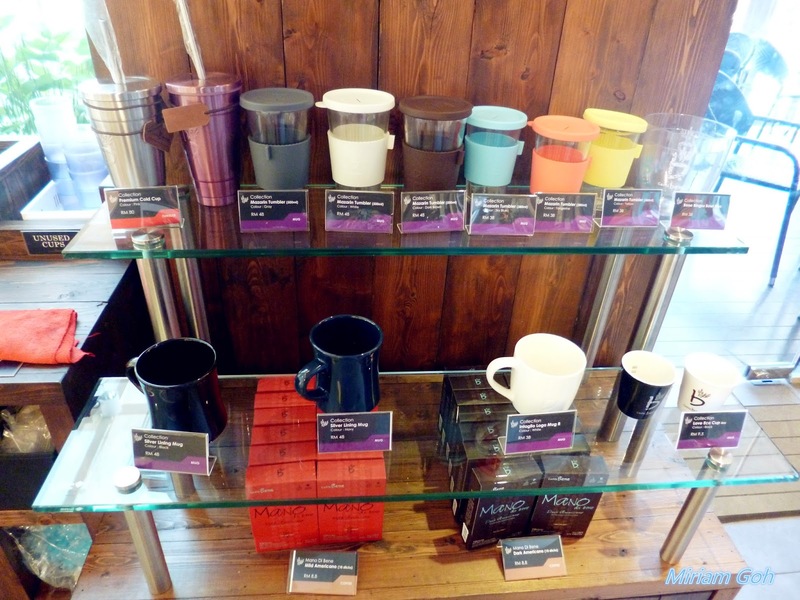 Caffe Bene also has some merchandise on sale at their outlets like tumblers and mugs. There are two seating areas for you to choose. 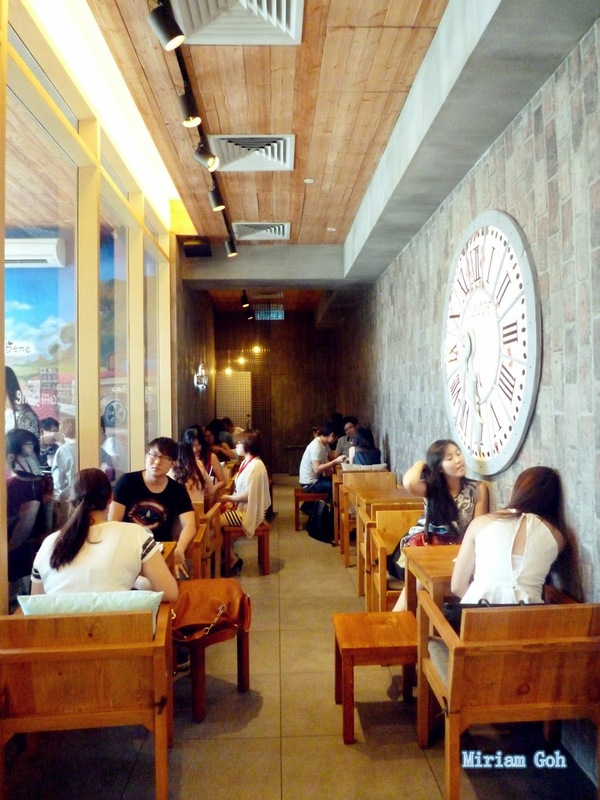 Both are actually indoors but the outer seating area gives you an al-fresco feel but plus the air-conditioning. 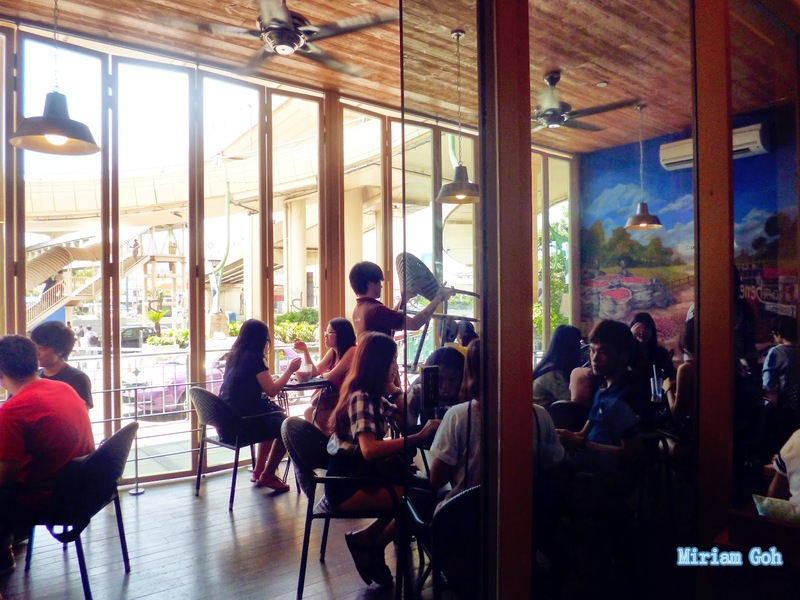 We actually sat indoors beside the huge wall deco but it was so humid and hot that we tried the other seating area which was cooler but downside is passerbys will sometimes stare at you while you're enjoying your meal. 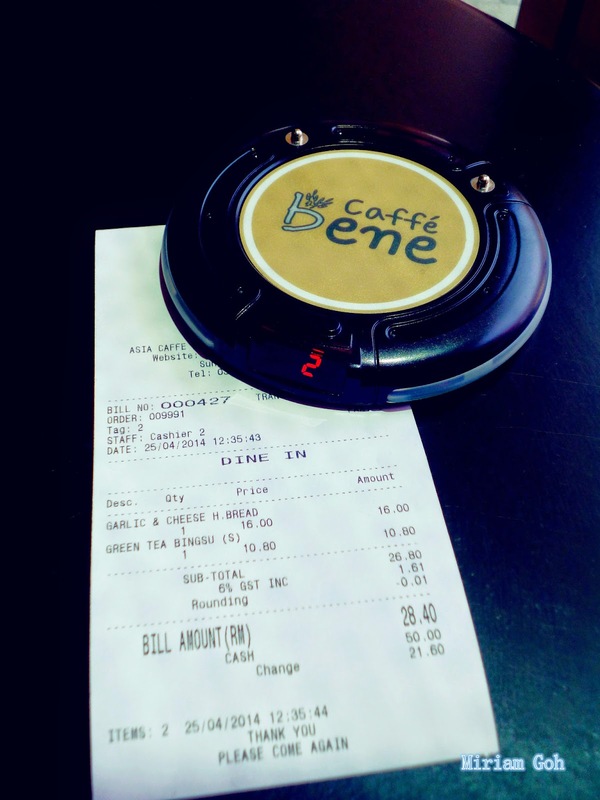 Caffe Bene also made use of the buzzer thing that looks like an UFO. After taking your order, they will pass you their buzzer and when your order is done, it will vibrate which means you can get your food from the counter. And here is our Garlic Cheese Toast. Although they were quite generous with the cheese, I doubt I would come back and order this for RM 16. Not really worth my money in my opinion. I could easily make this at home. 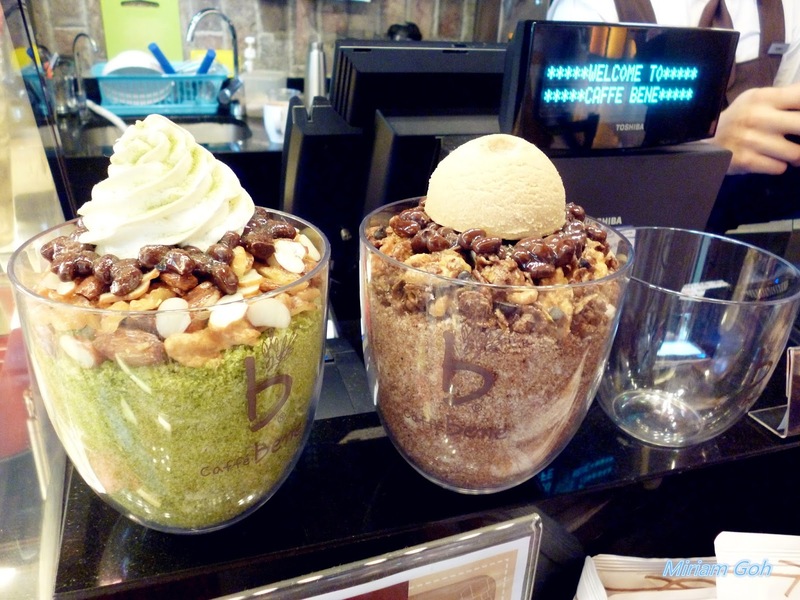 The Green Tea Tower Bingsu is really worth your money. They have a generous amount of nuts which includes cashew nuts, walnut, almonds... all the nuts except pistachios. 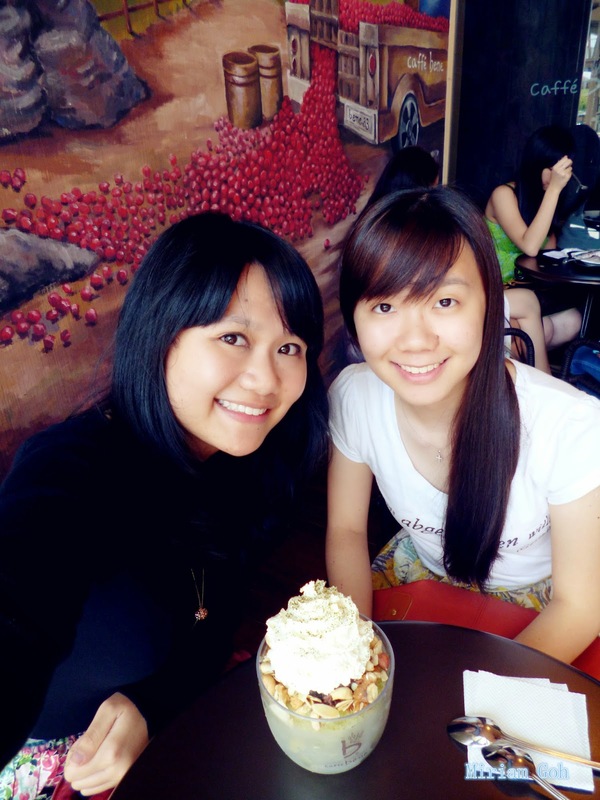 We were seriously full after eating this Bingsu which was really filling due to the nuts! Thumbs up for this dessert. The green tea gelato helped by giving the ice more flavour. We actually smashed it up and ate it like how we see in Korean dramas. I know there were some reviews saying that at the end the ice was tasteless but we did not have the same experience. Maybe it was because we mixed everything up and ate it until the last drop! Of course, we got to take a selfie or another term that cropped up 'wefie'. Great to have the sister back and have a 'makan' companion! 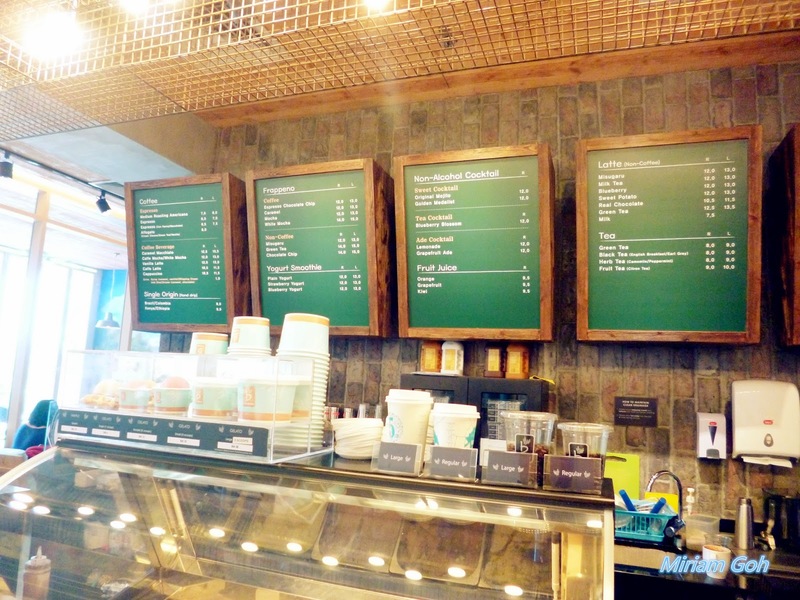 So that's all from me for Caffe Bene! I would definitely recommend the Bingsu and I think I would come back to try the waffles that people have been raving about! Check them out at Sunway Pyramid or Mont Kiara! Duriana Presents: A Market In The Skies!